We have been playing with kinetic sand a lot lately. Almost daily, actually. So to spice things up a bit, we added some LEGO duplo to the mix. 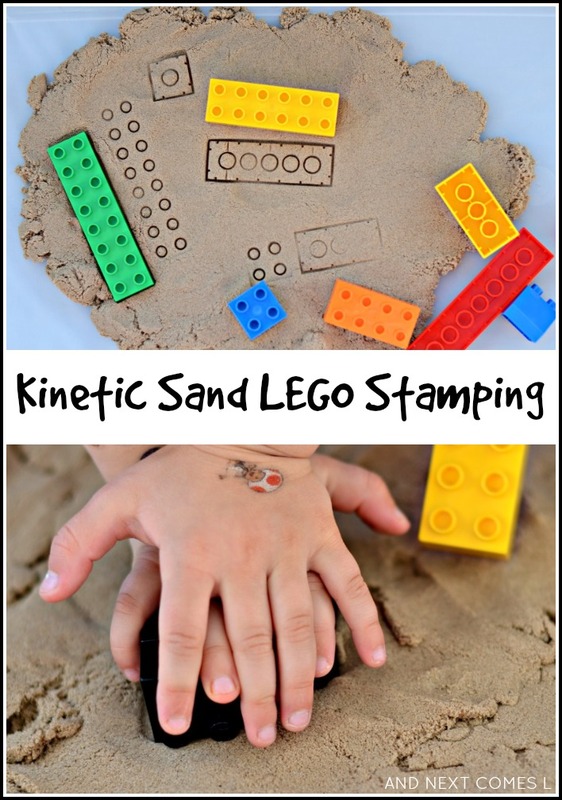 The addition of LEGO to kinetic sand transformed this simple sensory activity into a fine motor stamping activity. And the boys loved it! Plus, they manipulated the LEGO stamping in ways that I didn't originally consider. Just dump the kinetic sand into a container and add some LEGO pieces. Voila! Easy, right? The boys started off by stamping the tops and bottoms of various Duplo pieces. The impressions that the Duplo make are pretty neat by themselves, but then my boys had a brilliant idea that I never even considered! J had the idea to build a shape and then stamp the side of his object in the kinetic sand. K joined in too and they spent quite a few minutes assembling shapes and stamping. You could likely even make letters and numbers using the Duplo and then stamp those letters and numbers in the kinetic sand. 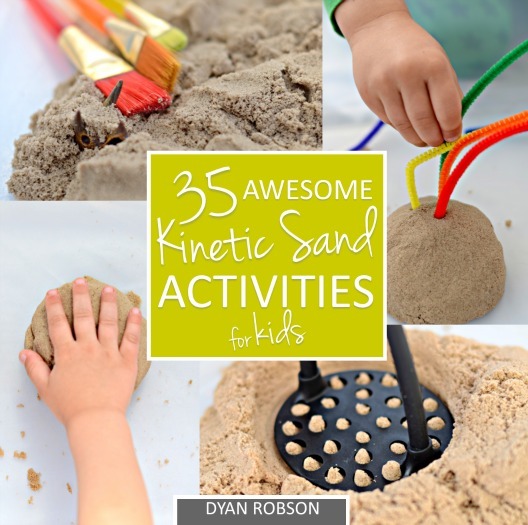 Don't forget to try out these other simple activities that use kinetic sand!